Hope you are enjoying your Wednesday! We are currently in route to Oahu – woo hoo 😉 Can you guess where we are staying? *Hint: It’s pink! * haha! Today will consist of a lot of relaxing and some exploring around the area. So excited to get our vacation started! Follow along on Insta for more! Hi everyone! I am excited to be guest posting for Lizzie today. Today I wanted to share with you some spring work outfit ideas! 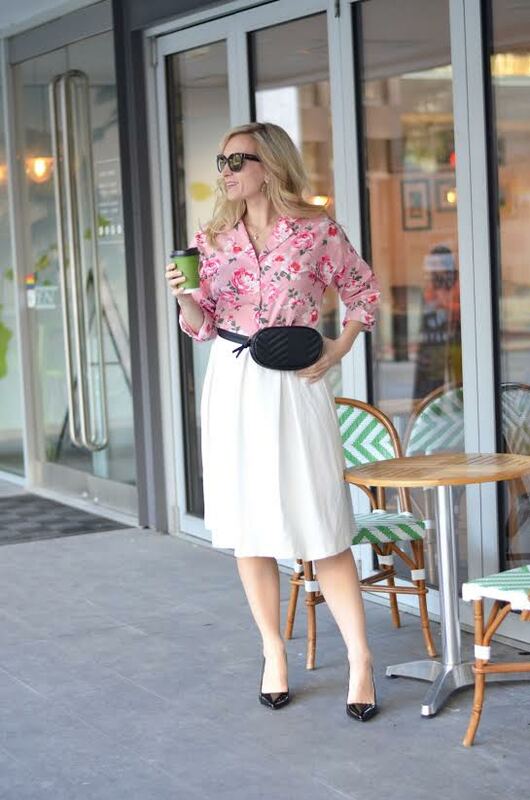 Some of you may know me since I have guest posted for Lizzie in the past, but for those of you who don’t, I blog over at LegalLee Blonde on wear-to-work fashion and general lifestyle content to help encourage & inspire all you amazing women out there. 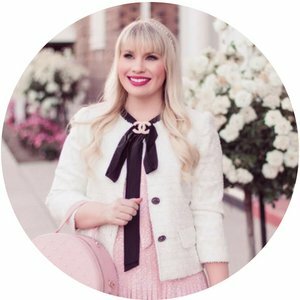 Since my fashion niche is wear to work style, I figured the best post I could create for you guys is a roundup of some work day outfit ideas for spring! I hope you like em! I’ll also include the link to my blog post for each in case you want to see more photos of the outfit or if you have any questions, you can just leave me a comment and I’ll get back to you. I also figured I would share 4 facts about me as well, so be sure to check those out at the bottom of the post! Gingham is (unsurprisingly) a huge trend for spring and what I love so much about it is that it is so easy to style for work! This contrast gingham print dress is one of my favorites! If you look closely you’ll notice there is a tiny peplum hem at the waistline- making it extra flattering! Here’s the full post on how to style gingham for the office. I shared this outfit on my blog last week and am so, so in love with it! Palazzo pants are one of my favorite pieces for work wear this spring/summer, and I love the contrasting directional stripes on these. The lace shirt is also a new favorite – when the shirt muse sent it to me I was expecting a regular button down shirt but I could not be more impressed with the quality of this shirt. It is so tailored to your body and I love that they have an extra button on the chest so the shirt doesn’t get that dreaded gap! You can read more about this outfit post here. When fanny packs started coming back in to fashion last year I swore that was the one fashion trend I would NEVER wear… and I here I am with a collection now of 4 different fanny packs . I love how chic fanny packs (aka. belt bags) are nowadays. And honestly they are so darn practical, it’s hard not to love them! My full floral print and fanny pack post is live if you want to read it! These blush pants are so good! They make these tie-waist pants in a ton of colors, so even if you’re not a fan of blush I recommend getting a pair of these in a color you love, because they are just such a perfect wear-to-work staple! 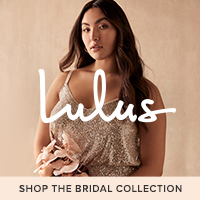 I have them in navy blue and this blush pink shade. I am a sucker for the combination of lace and the color blush so this top was an obvious choice for me to wear with these pants. Lace can be work appropriate – it’s all in the style, and this high neckline is perfect for the office. Here’s the full post for more. 1) I once ran into a zebra (literally ran into a live zebra) when I was camping on the Serengeti in Tanzania and got out in the middle of the night to pee. It was terrifying lol. 2) I feel truly blessed to have found my passion in being a lawyer (and blogging on the side) because I was definitely one of those teenagers that had no idea what I wanted to do for a career. In grade 12 I was so indecisive that applied for university degrees at 10 schools in degrees ranging from acting/theatre, to political science, to interior design. So indecisive! 3) My favorite books are East of Eden, Angel of Death Row and the Harry Potter series. 4) My greatest accomplishment in blogging so far (my most proud blogging moment) was being featured in InStyle Magazine in October 2017! Which spring work outfit is your favorite?